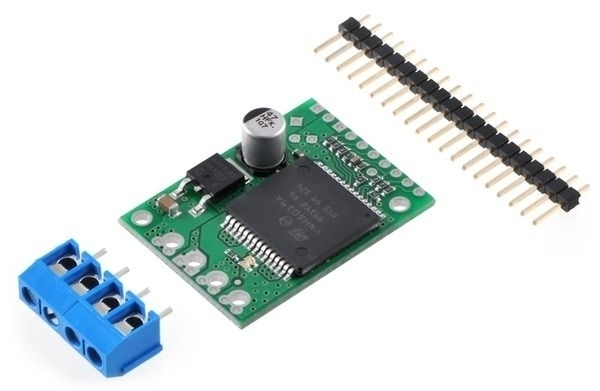 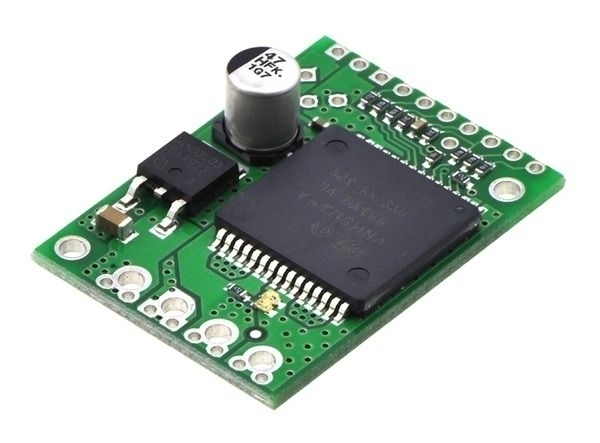 This module is a compact breakout board for ST’s high-power VNH5019 motor driver IC, a fully integrated H-bridge that can be used for bidirectional speed control of a single brushed DC motor. 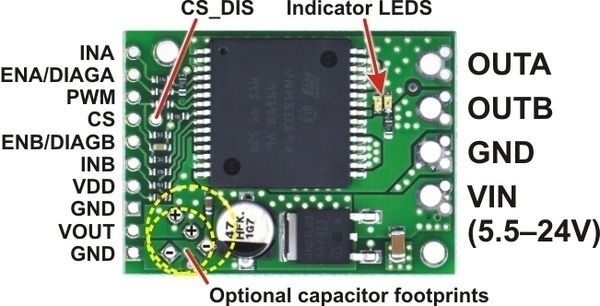 The basic operation of the driver is summarized below, but we also recommend careful reading of the VNH5019 datasheet (629k pdf) before using this product. 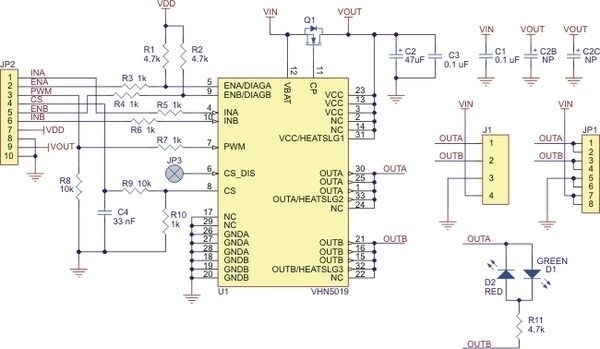 The board incorporates most of the components of the typical application diagram on page 14 of the VNH5019 datasheet, including pull-up and current-limiting resistors and a FET for reverse battery protection. 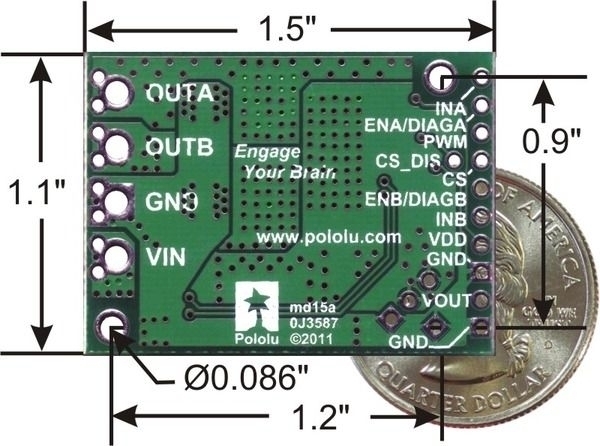 It ships fully populated with its SMD components, including the VNH5019, as shown in the product picture.